The new year resolution. A time honoured exercise in futility. However, things can actually be different this year…if you follow the advice of one psychologist. As the old denial goes, this is the year. The one where we finally kick the habit, get in shape and be the people we always wanted to be/knew we were, et cetera. So, fell great expanses of forests we do, all in an effort to jot down our edited, final lists of resolutions. Huzzah, we trumpet, knowing that all that’s left to do is do those things. However, January is a particularly cruel month, especially when it morphs into February, as we realise that we’re not anywhere near achieving our goals. But, there are new ways to bring life to the ancient tropes of disappointment. According to British psychologist Richard Wiseman and the 3,000 people he polled, only 12% manage to approach the new me the new year promised them. 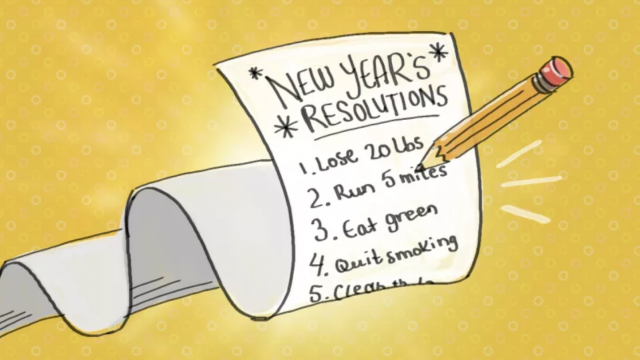 However, Wiseman is more than just a bean-counting pedant, as he also has a bevvy of tips regarding making better resolutions. Don’t beat yourself up and quit if you sometimes revert to old habits – treat it as a temporary setback. TBS Likes is a strange place where anything goes. Like International Waters, or Christmas morning after the shine has worn off and the booze has kicked in. May the ugliness commence. NYE Resolutions that never happen….